Chicago. For the entire month of August. Quite fantastic. 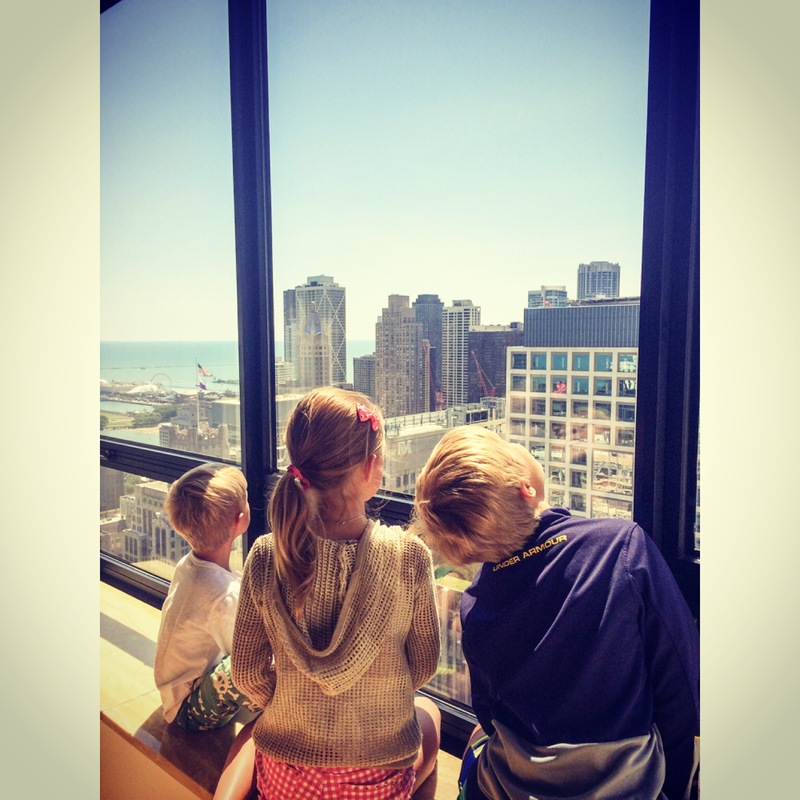 A gorgeous hotel to call home – here are my banditos watching the Air & Water Show fly by our window!!!! Jets people, actual jets! A LOT of time with very special friends, and the restaurants were RIDICULOUS! Special thank you to foodandwinehedonist for your expert opinions!! and now back to being “suburbanly challenged”, #notsoeasyforacitygirl #oy. This entry was posted in accessories, Architecture, Art, Boots, Boston fashion, Boston suburb fashion, CFDA, children, Fall Fashion Trends, Fashion, Footwear Trends, Media, mommy fashion, Shoes, Shopping, suburbs, Technology, Travel, Trending, Trends, Uncategorized and tagged Air and Water Show, Alexander Wang, Boston, boston fashion blog, Boston suburban fashion blog, Celine, Celine wedges, Chicago, city, fashion blog, fashion blogger, foodandwinehedonist, Four Seasons, harem pants, Helmut Lang, Instagram, J. Crew, Lake Michigan, Lucky, mommy blogger, mommy fashion blogger, O.W.O., Panama hat, Patch.com, Shan, Shan swimwear, shan.ca, suburban fashion blog, suburbanly challenged, Suburbs, T by Alexander Wang, urban vacation by reversecommuter. Bookmark the permalink. 🙂 I’m glad you had so much fun in our fab city :)!!!! I heart Chicago in a big big way!!!!!! A whole month?!? I lived in the area over 30 years and would do anythjng to be able to stay a week… And that’s a great time to be there. Any other good restaurants besides the turtle? It was a real treat, and fully appreciated on a daily basis! We were a block away from the beach – incredible!!!! YES YES YES I did manage to discover a couple of good restaurants that even you would approve of, namely Sepia (WOW WOW WOW), Chez Moi and Topolobambo (sp?). Back to reality which does not include eating out 4x per week and 2x daily maid service #ImissbeingEloise! Sepia is the 1st Chicago restaurant to receive a Michelin star, the food is SO deserving of that & the staff redefine the word service! Go go go! I miss Chicago a lot!!! The striped shirt is so you – bold & fun! Love it!! Did you used to live in Chicago? I loved it! I lived about one hour away from the city and drove there almost every weekend. During winters Chicago has a lot to offer than Milwaukee 🙂 I loved to go jazz places there…The Second City comedy club is also worth to visit!